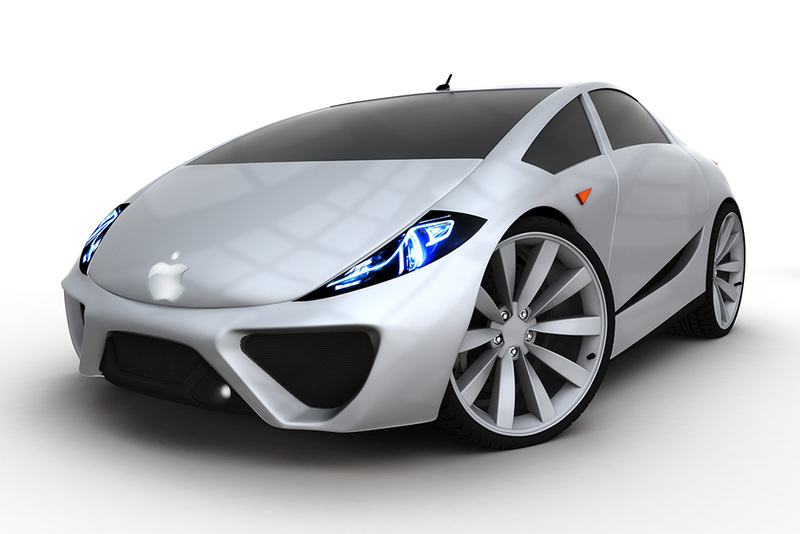 Apple may be planning on including digital license plate technology in its rumored electric car project. The speculation stems from Apple's recent hire of Rónán Ó Braonáin, director of engineering at Reviver—a company developing digital license plates. If you're thinking your next car will have digital plates, however, think again. Adoption for this technology is a long way off. The hire was first spotted by electrek on LinkedIn. Mr. Braonáin's profile shows he let Reviver in August to work at Apple. He lists his job as "Secret Agent @ Apple Special Projects." Reviver wasn't Mr. Braonáin's first gig in the car industry. He also served as CTO for the electric car fleet management software company Vision Fleet, and before that he was a software engineer for BMW. electrek notes digital license plates could be a significant money saver for governments, which seems reasonable after the costs of building out the infrastructure to support the technology have been recouped. That also assumes widespread adoption of digital plates by the automotive industry. Digital plates could have big benefits for fleet vehicles for companies and the government. Instead of carting in cases of license plates for new cars, all vehicle registrations could be handled from a single point, and the risk of plate theft would be eliminated. The administrative time needed to manage vehicle fleet registrations could be drastically reduced. For average drivers, however, there wouldn't be much value in switching to digital plates—at least not right away. Retrofitting current cars to support digital plates would likely be more expensive than most drivers would like, and unless they're adopted nationwide, moving to a new state means going back to traditional metal plates. Shared cars like CarShare could benefit from digital plates, too, from an administrative standpoint—assuming they're seen as fleet vehicles. Where they wouldn't see any value, however, is for share subscribers. License plates are intended to identify specific vehicles, not drivers, and changing that would require an overhaul of the DMV systems in every state. Our nation-wide system for identifying who is driving a car is called a driver's license. Convincing tax payers to support the expensive transition to digital plates could be a trick, too. The change won't be quick or cheap, and states will have to run dual systems—one for traditional registrations and another for digital—for years, which will increase costs instead of cutting them. That said, moving away from metal license plates sounds like a good idea because it could reduce government costs in the long term by making vehicle registrations much easier to manage. If Apple is planning on offering digital plates as a feature on its electric car, it's long term goal, and not something we'll see when the vehicle is introduced. Hopefully we'll have a license plate upgrade option when that day comes so we don't have to replace our Apple Car with a new model.